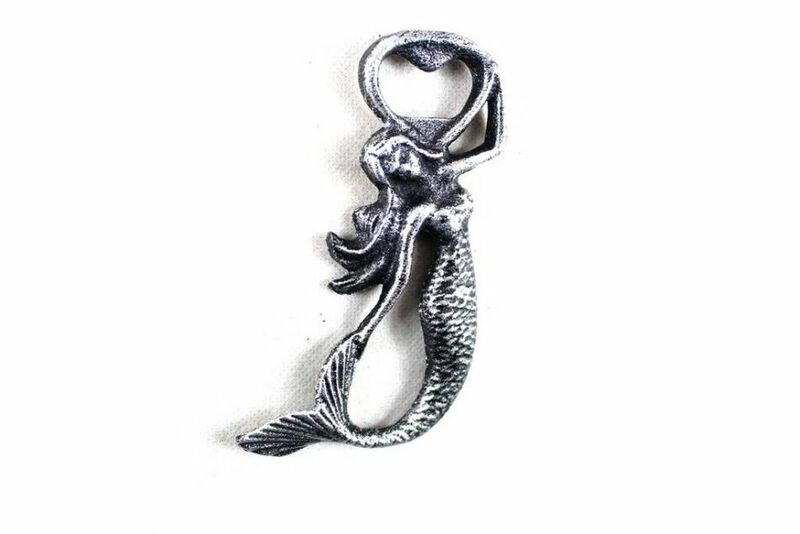 The Antique Silver Cast Iron Arching Mermaid Bottle Opener 6" is the perfect addition to any nautical themed kitchen. This cast iron bottle opener will open even the most difficult of bottles with ease. 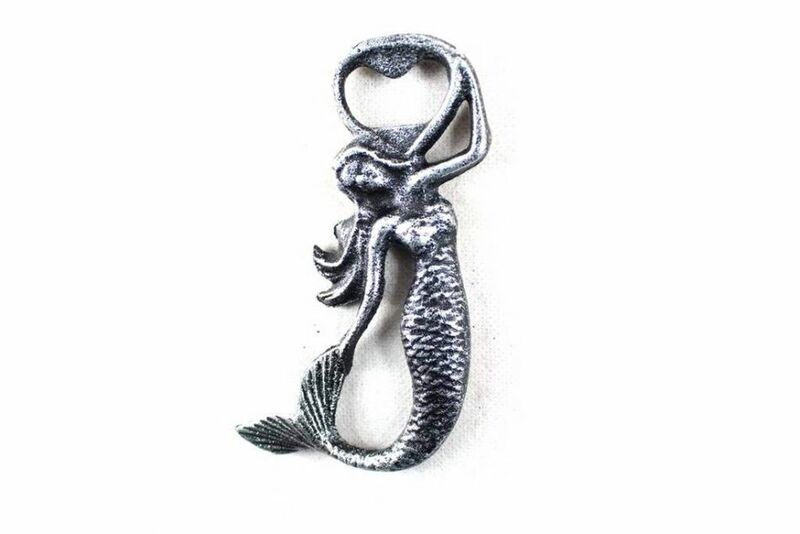 This bottle opener is fully functional and a great gift for the true nautical enthusiast in your life.